I once dated a boy who hosted an annual outdoor movie night in his neighborhood. It always was the most delightful little evening. He and a neighbor would get an enormous screen and string it up between two huge trees in their yards. Then, they would use a rather fancy projector to project the movies on the screen. Grown-ups would sit in lawn chairs and kids would lie on blankets. One year there was a margarita machine. Another year a dance party erupted during the closing credits of a movie. Each year, a day or two before the movie night, the boy would test the projector equipment. 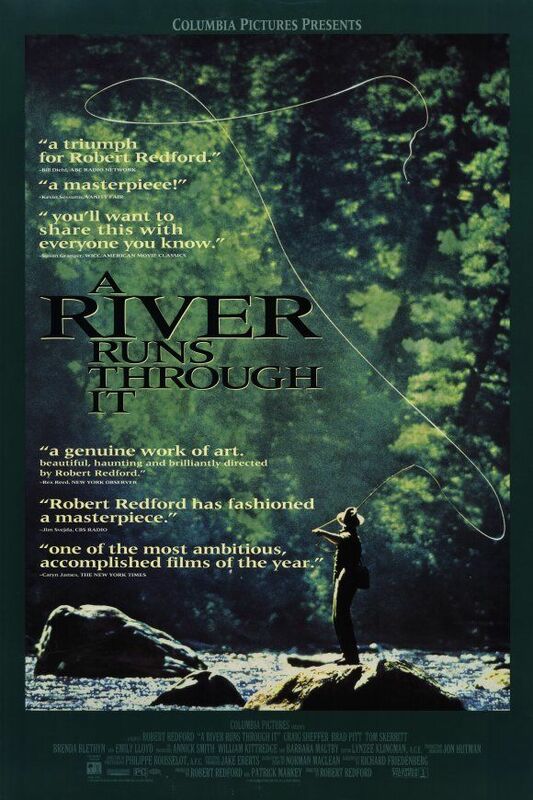 Once, he did so by projecting the movie A River Runs Through It on the back of his house. I came over about 30 minutes into the movie and settled into some patio furniture. It was late into a hot and humid Kansas City summer night, with lightening bugs blinking across the backyard. We sipped on wine as the movie rippled over the slats of white siding of his house.